Trust your SculpSure® procedure to the best-reviewed plastic surgeon in Pittsburgh, PA.
SculpSure is the reduction of stubborn fat deposits with non-invasive technology. It is done with the first FDA approved LASER. The procedure is performed in our office. It is usually completed in 25 minutes. However, you will see results in 6 to 9 weeks after the procedure. Results may be different among patients. The usual recovery time is the lunch time. 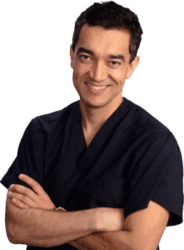 Dr. Julio Clavijo-Alvarez offers non-invasive fat reduction with SculpSure, an FDA-cleared laser treatment that targets fat deposits and helps contour your body shape without undergoing surgery. SculpSure, also known as non invasive fat removal, is the reduction of stubborn fat deposits with the use of an FDA approved LASER. How and where is the procedure done? 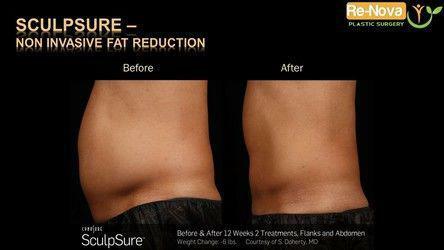 ReNova’s SculpSure procedures are performed in our office. It is done under NO anesthesia. The duration of the procedure is about 30 minutes. It is done as an outpatient procedure. What decisions do I need to make before my procedure? When undergoing a SculpSure procedure, the most important step is to make a list of the things that concern you about your fat deposits to your body. What is the post procedure recovery? Need for further treatments to obtain the desire contour. 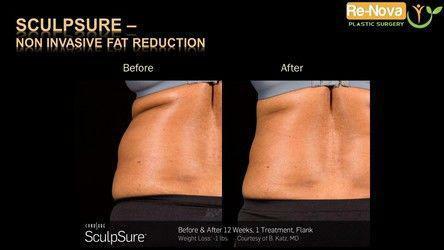 How is it different from Coolsculpting? There are many differences between Sculpsure and Coolsculpting.